How to generate more leads with Magento eCommerce Platform? The evolution of the Internet has started to change people’s lifestyle. Now everything required to maintain human life is easily available through online stores. People prefer to shop online rather than visit physical stores. Everything is available at their fingertip now. Hence, people are not ready to wait for anything. Thousands of other options are available for them. So your business lead generation purely depends upon the performance of your store. Magento eCommerce Platform will give your customers a beautiful user experience. An enriching user experience makes your store stand out from the crowd. A lot of platforms are available to build your store. Among them, Magento is the most popular platform to create a fully functional and responsive eCommerce store. Let’s see how can we generate more leads with the Magento eCommerce Platform. One of the important factors that stick a customer on to a website is its compatibility with any device. Today most of the searches and visitors come from mobile phones and tabs. If your website is not responsive people will leave your website within seconds. Magento offers a responsive design for your website. This will helps to increase the traffic of your website. So while designing a website you should be careful about responsiveness. Because a lot of other options are available for the customers. Hence they will easily move on from your website if not satisfied by the customers or visitors. Also, better checkouts and payment options are available on the Magento platform. In the Magento platform, you can customize and also optimize your stores for increasing the leads. Different paid and free SEO extensions are available to create a beautiful and functional website to make your website search engine friendly and thereby generating more traffic and conversions. SEO is one of the major factors behind your Google page rank. Normally people have a tendency to click on the websites available at the top of the search results. To make your website visible at the top of search engines you should really take care of SEO. For an eCommerce site, there is no compromise with the security. Because customers are purchasing products by making online payments. In such case, any security issues arise then there is nothing to say other than your business had gone. Your hosting provider plays an important role in providing an unbeatable security. But still, you should have a clear idea about how your provider secures your store and also by what methods. 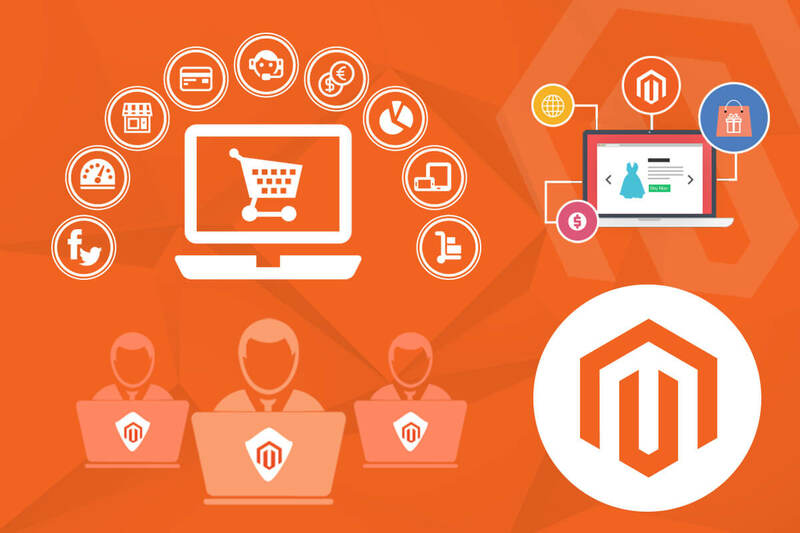 Magento offers a service called Customer Follow-Up Extension which helps to identify the dropped carts and automatically sends the follow-up emails to the customers. It also sends auto-response emails to enable customers to restore their carts. This also provides customer insights on their shopping experience. Complicated checkouts will significantly reduce your sales. It will reduce the number of your returning customers. Magento offers a one-step checkout extension that helps for fast and also easy shopping for users. This feature of Magento eCommerce platform helps to improve your store performance. Choosing a Magento eCommerce platform will help to turn your business to an expected level. Just like your eCommerce platform your Hosting providers also play an important role in boosting your business. So you should be very careful in choosing the provider. Before finalizing the provider just go through the customer reviews. Customer reviews will help you a lot to take a good decision. Always choose a provider who offers 24/7 technical support. You can’t predict what will happen next to your website. So you should have a support team always at your fingertips. No eCommerce store can afford a long time to get clear the issues. If so, it will definitely break your business. We at Aspiration Hosting are one of the best Magento Hosting companies with topnotch 24/7 technical support. Our support team includes experts who are able to handle your all Magento related issues. Click here to know more about our hosting services.